We love to celebrate our earth all year long, but in April we make an extra special effort to up our eco-friendly efforts for Earth Day. We are a sustainable hotel that loves wellness and fresh ideas. 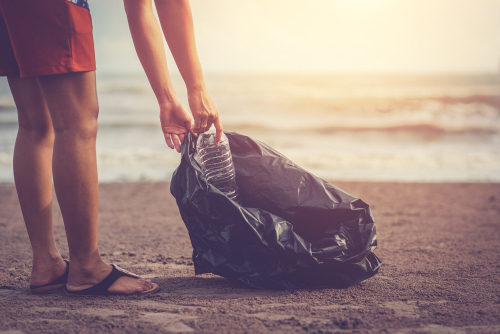 Check out these three easy ways you can contribute to a more sustainable lifestyle in just one day! Go straw-less! We know everyone loves to slurp up their favorite beverage through a straw, but did you know that scientists estimate that there are close to seven-million straws polluting our oceans and shorelines? Turn up your air-conditioning and shut off the lights when you are leaving your home or hotel room. These two deeds may seem small but have a large impact on how much electricity you and your family are consuming. Opt for reusable items such as water bottles and glass Tupperware when you leave the house. The less garbage we produce, the happier Mother Earth will feel!